When a young man finds a rare comic book in his late grandfather's attic, he dreams of the fortune that will soon be coming his way, but he soon discovers that life doesn't always work out the way we plan. No. 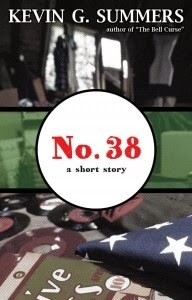 38 is a coming-of-age short story by Kevin G. Summers, the author of The Bell Curse and The Paladin. I downloaded this on a recommendation from Michael Bunker. I figured since I’ve enjoyed Michael’s writing, I might enjoy this. This is the first work I’ve read of Kevin G. Summers. It won’t be my last. It is a story of a man finding a rare comic book. Well, that’s the basic storyline, anyway. There are no explosions, no alien encounters. But there is more to the story than you first think. Like any good fiction, there is the story, then there’s the story within the story. That’s the one that makes you stop and think. No. 38 makes you do that. While not giving away the story, I can say this is as good as any other literary fiction I’ve read. What’s more is the limited words Kevin uses to get the idea across. Kevin G. Summers gained a new reader in me, and I look forward to reading more of his work. There are a couple of instances of cursing in the story. Otherwise, enjoy a quick, fun read. 40 years ago, the Corsican Empire invaded Earth, just in time for Emperor Justinian's Golden Jubilee. 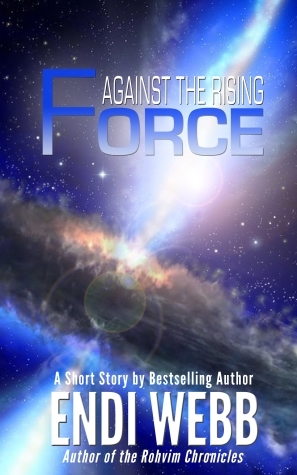 Against the Rising Force is a short story of approx. 5200 words, or about 25 pages, and is the first in the short story trilogy Prelude to Resistance, which paves the way for The Pax Humana Saga, a ten part series of novels set for release in March 2014. For the sake of transparency, I received a free copy in exchange for an honest review. I have been on a binge of dystopia lately, but decided to take a brief interlude and read Endi Webb’s Against the Rising Force (AtRF), the first of a short story trilogy, set in the Pax Humana universe. We are thrown in the story following Jacob Mercer on a galactic spaceship. He oozes testosterone. “Fast motorcycles, faster women, and blazing fast fighters” is his self-proclaimed motto. We see him on the brink of a great battle, and follow him through tense combat as he flies against a mighty Imperial fleet. The story is quick, and the action is plentiful. Endi defines AtRF as a space opera. I agree with that. I would even add sweeping to that definition. The battle is on a massive scale. Think Star Wars Imperial Star Destroyer, X-Wing and Tie Fighter massive. You can tell from this first story that Mr. Webb has plenty of fodder for many more stories in this universe. His writing is crisp and clear, non-stop and action-filled. There is some crude language and a few curse words. The violence is typical for space battles, such as exploding ships. No gore. If you are looking for a quick read with plenty of action, then consider picking up AtRF.